Thousands of overseas sellers have been evicted from online marketplaces in the UK such as Amazon and eBay owing to a tax crackdown. It said that 4,600 sellers have been “red-flagged” in this way. If the hosting sites fail to take action they can be pursued by HMRC for any future VAT that is unpaid. 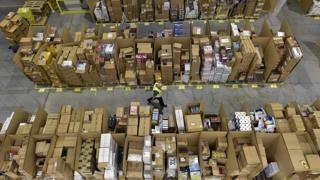 Seven sites, including Amazon, eBay, Asos and Etsy, have specifically signed up to an agreement with HMRC. The new rules were introduced in 2016, but the crackdown has been stepped up in the last year. The tax authority said that it had recouped about £200m in VAT after sellers have registered to pay VAT following an alert, officially called a Joint and Several Liability notice. Since 2016, the number of applications for VAT registration rose to 58,000 compared with 1,650 applications between 2015 and 2016. “These figures show that HMRC, working closely with the major online marketplaces, is making real headway tackling this serious and damaging evasion,” said Mel Stride, financial secretary to the Treasury. Last year, a report by the Public Accounts Committee of MPs said that up to £1.5bn has been lost from third-party sellers on online marketplaces not charging the tax on sales they make in the UK. The committee criticised HMRC for being “too cautious” in pursuing the “fraudsters”. Non-UK business selling goods in the UK to UK consumers via online marketplaces are required to register for VAT in the UK, charge VAT of 20% on sales, and account for that VAT to HMRC.